We’re happy to report that we have two new anatomical models at the MEC library! These are highly recommended for physical therapy students, so come by any time to check them out. We’ve also received two skulls which can be taken apart and put back together, complete with brain and inner workings. They’re half transparent, so you can even see the veins! We’ll see you back after the holiday for the last push of the semester! Have any questions? Feel free to comment below or contact us on Facebook or Twitter. Good afternoon, all! Please be advised that due to next week’s Fall Break, our hours have been slightly altered. Today is International Coffee Day, and I’d like to take a moment to share some of my favorite factoids about coffee. This tasty brew has existed in many forms across the world. Appearing as early as 1000 C.E., coffee became popular in Yemen (some stories say Ethiopia) and was traded by Muslim traders throughout India and the Ottoman Empire. The roasted beans became a highly-imported item in the 1700s and reached the Western world through French and Spanish colonies in the West Indies. A stimulant for our conversations as well as our brains, the coffeehouses which originated in the Ottoman empire found new ground in England during the period of the Enlightenment. These coffeehouses became popular locations for in-depth philosophical discussions, so we have coffee to thank for that, too! Coffee–like most things–is best taken in moderation. 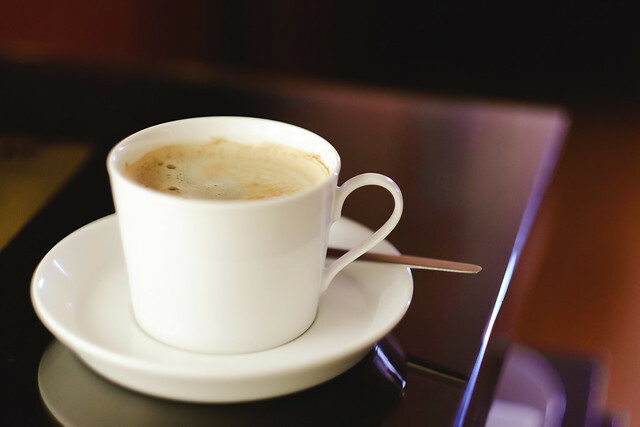 While some people report experiencing a strong reaction to a single cup of coffee, others can drink several cups a day without having any side effect. For those of us who drink coffee in excess, withdrawal symptoms can include headaches, increased risk of panic attacks, and hallucinations of coworkers as Starbucks baristas. The best way to treat this is to slow down the coffee intake and drink more water, which we all know is a smart thing to do anyway. Recent studies at Harokopio University in Greece have hinted that coffee can lower inflammation and risk of diabetes, but it is still not as effective as exercise… boo. Reich, A. (2010). coffee & tea history in a cup. Herbarist, (76), 8-15. Reuters. World News Digest. Infobase Learning, n.d. Web. 2 Sept. 2015. The Enlightenment. (2005). In E. I. Bleiberg, J. A. Evans, K. M. Figg, P. M. Soergel, & J. B. Friedman (Eds. ), Arts and Humanities Through the Eras (Vol. 5, pp. 304-306). Detroit: Gale. From 11am-2pm on Wednesday the 26th, bring your questions to us. Having trouble connecting to wifi? Need a temporary laptop? Want a place for your group study? We can help you with that. If you have research questions about study materials, journals and articles, books, and flash cards, we can do that too! We at the library are excited to see you. So excited, in fact, that we’re setting up a table outside the library to come out and say “Hi” and invite you to come and play with our toys. During the last year we’ve acquired some nifty gadgets you might find useful, so we’re bringing those out to play. Namely, a big screen that can connect to up to four laptops or tablets. It’s perfect for group projects and study sessions, and if you want you can check it out and set up in the study area directly outside the library. We even have adapters for MacBook Pros and all iOS devices. Be sure to ask for them when you check out the display! Find some fun reading — everyone needs a break sometimes!